Vale squash 1st team ahead of match against Preston Grasshoppers 6. From left, Stuart Featon, Jeremy Stopford, Dave Jewitt, Adam Holtham and Max Castaldi. Vale of Lune’s title-winning hopes are in the balance after they lost their first match of the season at home to their closest rivals, Preston Grasshoppers 6. Hoppers have a match in hand and the North West Counties Squash League Division 5 North title is now theirs to lose. They trail Vale by nine points but If they beat their final opponents by the same margin as they did earlier in the year, the title goes to them. Vale 1 put up a brave fight, eventually losing the match 3-2. Regular No 1, Jeremy Stopford ended the season unbeaten with a 3-0 victory over a younger opponent. The match ebbed and flowed once Jeremy had seen off his man. At No 5 young Max Castaldi lost 3-0 but the scoreline does not reflect the closeness of the games, with scores 15-17; 13-15; 13-15. Stuart Featon at No 4 took on a more experienced player and played well, only to lose out 3-0 after making some unforced errors and having his fitness tested to the limit. Dave Jewitt at No 3 steadied the ship with a hard-fought 3-2 victory to bring the match to 2-2. It was left to Adam Holtham to see Vale home. 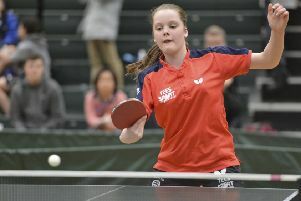 He and his younger opponent must be the fastest in the division but Adam started slowly against a player who shared his unbeaten record this season. Unusually, Adam went 2-0 down but staged a magnificent fight back to level the match. It was down to the last game and Adam looked certain of victory at 10-5 up but the Hoppers man dug in to claim the win, 15-13. It was a fitting climax to Vale’s season but it looks like their title hopes are gone.